It's quick & easy. No credit check or upfront fee. Getting bad credit buy to let mortgages on the high street can be next to impossible, but that doesn’t mean that there is no way to secure a BTL bad credit mortgage. If you’re looking to buy a property to let for the first time, remortgage a buy to let with bad credit, or make a new investment, then a bad credit history doesn’t always have to stand in the way. Found the perfect buy to let property? Need a BTL remortgage? Simply Adverse has access to the best niche specialist lenders in the UK, so don’t hesitate to call us today for impartial advice and a free assessment of your situation! Why Choose Simply Adverse for Bad Credit Buy to Let Mortgages? Simply Adverse aren’t just a buy to let mortgage broker who handles some bad credit cases, we specialise exclusively in them. Our entire first-class service is tailored towards people with adverse credit, including those looking to remortgage buy to let with bad credit. We understand how stressful trying to arrange a mortgage is with a poor credit score, so we do everything possible to keep things simple. With glowing reviews, access to exclusive rates, and experience in all areas of bad credit buy to let mortgages, we’re the service you need for fast advice and exceptional results. Turn your mobile to landscape to read them. Lines Open: Mon-Fri 09:00-21:00 and Saturday/Sunday 09:00-17:00. Alternatively request a call back at a time convenient to you. It's quick & easy. No credit check. Many credit reports give you a numerical value that summarises your credit history, which is based on numerous factors mostly relating to your past and current credit responsibilities. 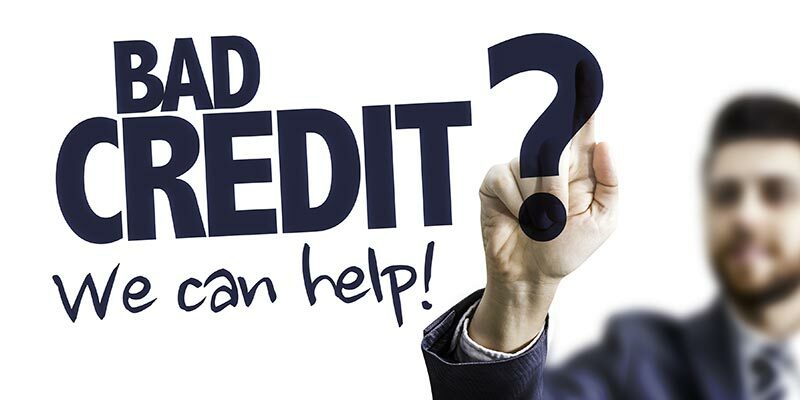 A bad credit history, or low credit score, means that you have a record of being irresponsible with credit, shown by instances like missed payments, defaults, CCJ’s (County Court Judgements), or IVA’s (Individual Voluntary Arrangements) / bankruptcy. Having a bad credit rating doesn’t instantly disqualify you from obtaining a buy to let mortgage, but without the help of a specialist bad credit mortgage broker, your options could be extremely limited. How Do I Know If I Have a Poor Credit Score? Checking your credit score only takes a few minutes when you use one of the readily available checking services like Call Credit, Experian, Equifax, or Noddle. When you use the credit checking services, alongside your credit score you’ll also receive a credit report which covers essential information that you’ll need to start repairing your credit rating. A bad credit rating isn’t the end of the world! If you’ve been given a poor rating, then give Simply Adverse a call and we’ll help you to understand your buy to let mortgage bad credit rating options. The good news is that most bad credit ratings can be repaired over time with positive actions. Fixing any mistakes on your credit file will help you to improve your rating, as will staying up to date with payments and building a positive credit history going forwards. Take Our Buy to Let Mortgage Bad Credit History Quiz – If you’re looking to remortgage buy to let with bad credit or get a first time buy to let bad credit mortgage, then you can take our specially designed suitability quiz that tests your eligibility for a mortgage. Make searching for a mortgage easier with help from our professional team, you can call us 7 days a week to begin your search for the best buy to let mortgage deals. Can I Get a Buy to Let Mortgage with Bad Credit History? Obtaining a buy to let mortgage with bad credit can be much more difficult than obtaining other types of mortgage with bad credit, as a buy to let mortgage is riskier for lenders; you’ll normally need a higher deposit and the affordability test for the mortgage will be different. However, when you use a bad credit mortgage broker, you’ll most likely be accepted for a buy to let mortgage. Whilst your adverse credit history will work against you, it can be possible to obtain a buy to let mortgage with all types of adverse credit – the longer the period that has passed between the adverse credit incident, the better. Simply Adverse can advise you on buy to let bad credit mortgages whether your bad credit is due to a missed payment or past experience with bankruptcy or CCJs. What are Bad Credit Buy to Let Mortgages? A bad credit buy to let mortgage is essentially the same as a normal buy to let mortgage, but the process involved in getting the mortgage can be much more difficult. Rates will often be higher, and the lenders will be stricter as you’ll be seen as more of a risk if you have a bad credit rating. How Does the Affordability Test with Buy to Let Mortgages Work? Most lenders of buy to let mortgages will request that you have an income of at least £25,000, or that the rent on the property is around 25% more than the mortgage repayments. Affordability does vary from lender to lender and our experience allows us to interpret this calculation early in the solution building process. Will I Be Able to Find Buy to Let Mortgages on the High Street? There are buy to let mortgage lenders on the high street, but very often they rule you out if you have bad credit. Simply Adverse cover the whole market, which includes lenders who specialise in buy to let mortgages for people with bad credit. Have more questions about buy to let with bad credit? With no up-front fees, you can contact us to discuss your concerns about getting a mortgage with bad credit. With our team of expert advisers, specialist pre-underwriters, and case managers, we can take care of all the heavy lifting when it comes to arranging a mortgage. We provide quick advice, source competitive rates, and make every process simpler. With no panel of lender restrictions, we can cover the whole market to find buy to let mortgage bad credit history lenders who offer the best deals and exclusive rates. Simply Adverse provides a 7-day a week service that covers free assessments and advice with no upfront fees. Our fees only come into the equation when you have a formal offer with commitment to lend from the bank. Tired of the worry that comes attached to buy to let mortgage bad credit history? Take our eligibility quiz to learn more about your suitability for a buy to let bad credit mortgage. With an unrivalled service, tested process, and guaranteed whole market coverage, you can rely on Simply Adverse to provide first class support when helping you to find a mortgage. What Buy to Let Mortgage Bad Credit Rating Lenders Do Simply Adverse Work With? Buy to let mortgage bad credit options can be very limited, with lenders being much stricter about who they accept for the riskier mortgage type. The excellent service and process that Simply Adverse offer can help you to find lenders even when you’ve had no luck on the high street. A bad credit rating doesn’t have to mean the end of your buy to let dreams, just call us today and we’ll provide the support you need to secure a mortgage from bad credit friendly lenders. Fees vary according to individual circumstances and we will agree our fees with you before we undertake any chargeable work. This fee is for advice, research, recommendation, implementation (e.g. application, administration of arranging the loan). We will also be paid by commission from the lender. Our typical broker fee is £1995. We typically charge up to 6% of the loan amount, dependent upon the severity of adverse credit and the lender being used. For example, on a loan of £100,000 we would charge up to £6000. For second charge mortgage applications our typical broker fee is £1995. We typically charge up to 10% of the loan amount, dependent upon the severity of adverse credit and the lender being used. For example, on a loan of £40,000 we would charge up to £4000. Our fee is payable upon receipt of your mortgage offer, we do not charge any upfront fee for identification of any potential solutions. Simply Adverse is a trading style of Simply Investment Ltd. Simply Investment Limited is an Appointed Representative of Simply Lending Solutions Ltd who are authorised and regulated by the Financial Conduct Authority FSR Number 745164. Simply Investment Ltd. Registered in England and Wales Company no: 06528590. Registered Office: Runwell Hall Farmhouse, Hoe Lane, Rettendon Common, Essex, England, CM3 8DQ.